On November 20, Congressman Ami Bera (D-CA 7th District) visited American River College to give a speech on education, immigration and President Trump’s harmful rhetoric. The event was hosted by the Los Rios College Federation of Teachers. The LRCFT is a union of teachers that supports workplace rights for faculty members. Bera described himself as the son of Indian immigrants who moved to the United States in the 1950’s and a product of the California’s public schools. “I know I didn’t get here by myself. I got here because America gave my parents a chance to immigrate and to be part of that American dream. I got here because we invested in public schools and I think I had a great public education,” Bera said. Bera said he believes that the affordable education he received when he was going to college should be something that his generation passes on to future generations so they aren’t burdened by high tuition costs and debt. 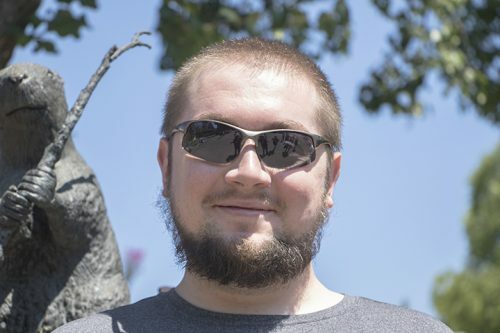 After graduating medical school, Bera said he had less than $10,000 in debt from student loans, which is significantly lower than it is today. When it comes to the topic of immigration, Bera said he is opposed to the Trump administration’s ending of the Deferred Action for Childhood Arrival program and believes in changing the law to create certainty for the future of DACA recipients. “We know the public opinion is on our side, so we will do what we can to try to get it done in December as best as we can,” Bera said in regards to passing a law to help DACA recipients. Bera told a story about visiting schools where teachers told him about how DACA students worry that when they return home, their parents might not be there due to immigration enforcement. Bera said he worries about the rhetoric that the president uses and how he changes how the rest of the world views the United States and harms our efforts at diplomacy, especially on the Korean Peninsula. “Every time he tweets out ‘little rocket man’ or ‘fire and fury’, he closes the door on diplomacy because they won’t come to the table with that rhetoric,” Bera said. Bera said he believes that in diplomacy. 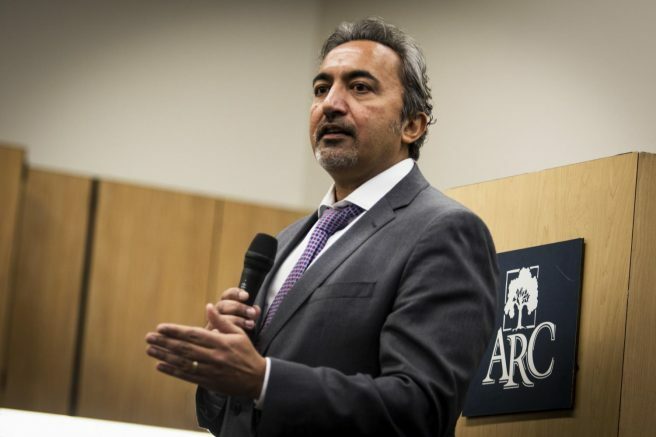 Be the first to comment on "Congressman Ami Bera visits American River College"